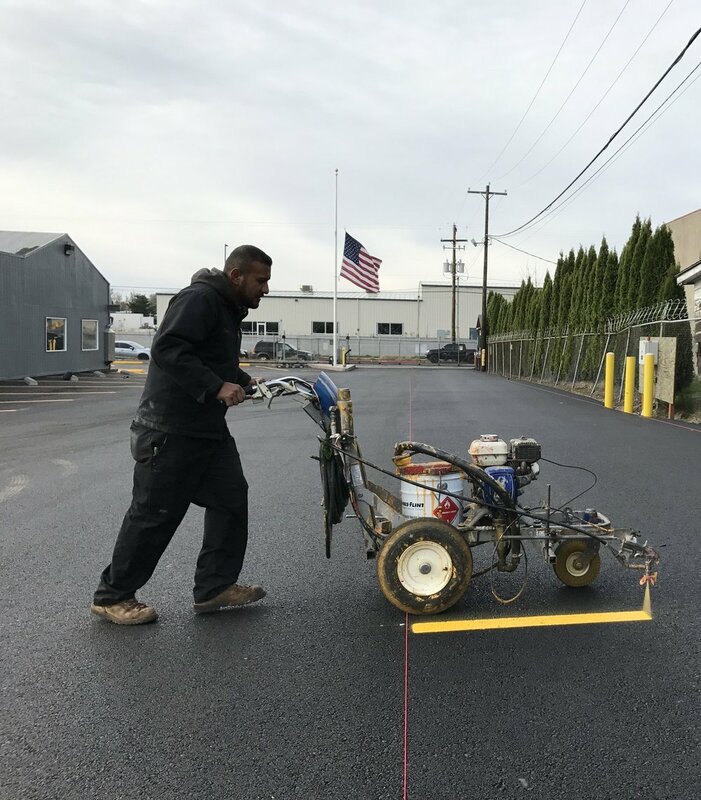 Whether it's protecting your parking lot with sweeping, sealcoating or providing a clean, well marked parking lot for your customers and employees, River City is your resource for parking lot and pavement marking and maintenance services. Protect your investment in asphalt by sealing cracks and adding seal coating. Count on us for timely and professional striping, sweeping, clean up, pressure washing, snow removal and more. Schedule your inspection or work today. Re-stripe your parking lot now that spring has arrived, or maybe it's time to design a layout that maximizes your space so its easier and safer to navigate. Our team is ready to assist. To keep your lot safe from injuries, flooding and mosquito breeding throughout the year, it's recommended to clean your catch basins every six months. After a long winter, there's plenty of debris built up to clean out, so your parking area is ready for the spring and summer months. Before winter sets in, it's good to clean out the leaves, trash and debris from summer and fall. You'll avoid flooding and prevent drainage line backup if you keep your catch basins serviced. Getting rid of standing water in the basin improves vector control and reduces mosquito breeding. Contact us for service and your lot will be safer year 'round. River City Environmental is your local resource for parking lot and driveway maintenance. Sweeping, seal coating, striping, lift stations and stormwater services. Business or residential; we do it all. River City also provides drop box and roll off service in the Portland area. Check out our video on parking lot striping and maintenance. Call us today to learn more about our routine maintenance and emergency services.